As co-founder of Carolina Mountain Sales, Allyson is dedicated to providing exceptional support, direction and leadership to the team of dynamic real estate professionals she works with on a daily basis. Her level of leadership and support is a commitment to the customers and clients that Carolina Mountain Sales associates serve. Allyson is extremely passionate about real estate and Carolina Mountain Sales, inspiring associates so they can grow their businesses and achieve their goals. A hands-on leader, Allyson approaches the real estate business with a focus on “team”. It’s about working together and supporting each other in order to be successful and to grow. The office culture reflects Allyson’s belief in treating everyone with honesty, integrity and respect. The office is filled with positive energy and a commitment to succeed. Fun is always on the agenda too! Allyson grew up in a real estate family and the tradition continues today. Her father was a real estate pioneer at Sea Pines Plantation in Hilton Head; then moved to Amelia Island Plantation to play a key role in development at the resort. Her mom, Lou Simmons, is currently the top real estate agent for Amelia Island Plantation--a distinction she's held for 20 years. Allyson’s brother and sister-in-law are top producers at Coldwell Banker the Amelia Group and her uncle founded and owns ERA Fernandina Beach Realty. Allyson is a native of Amelia Island and attended Episcopal High School of Jacksonville, Florida, the University of Georgia and graduated from the University of North Florida with a B.A. in Communications with an emphasis in Public Relations. From 2001-2004 she served as the Retail Special Events and Marketing Manager for Amelia Island Plantation, working on the initial retail management team that opened the new retail center with ten upscale boutiques. She created and managed more than 250 retail marketing events a year while serving as a retail manager on duty over the staff in all ten stores. She won the 2002 Employee Idea of Year for Amelia Island Plantation by inventing an interactive company-wide calendar. Allyson also planned and implemented the Amelia Island Wine Festival to raise money for local charities. In 2004 she joined Coldwell Banker Ashburn Real Estate in 2004 in Highlands, NC as a Sales Associate; she earned Sales Associate of the Year in 2005. 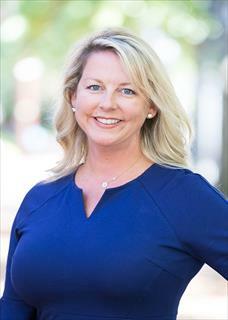 She jumped in quickly to help her community, becoming a member of the Highlands Chamber of Commerce, Cashiers Chamber of Commerce, Highlands-Cashiers Board of Realtors, North Carolina Association of Realtors, the National Association of Realtors, and serving on the Highlands Wine Festival Event Committee. Allyson continues her community involvement as a member of the Asheville Chamber of Commerce, the Asheville Board of Realtors, North Carolina Association of Realtors, the National Association of Realtors and a volunteer for Soles4Souls. Allyson and her husband Brian are thrilled to call Asheville home. They enjoy all of the wonderful outdoor activities with their two sons, Reynolds and Hayes, and their golden retriever.